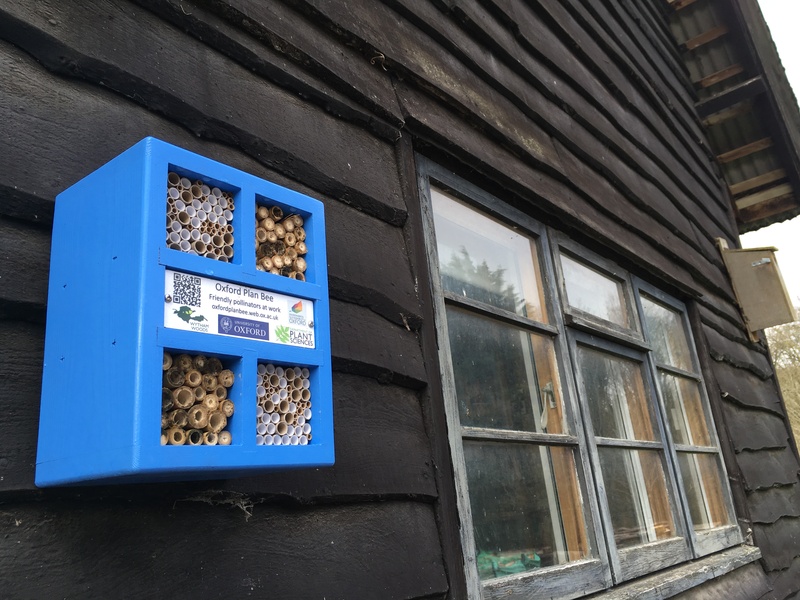 One of our boxes can be seen on the wall of the Conservator of Wytham Woods’ office in the Sawmills Yard. A room with a view! 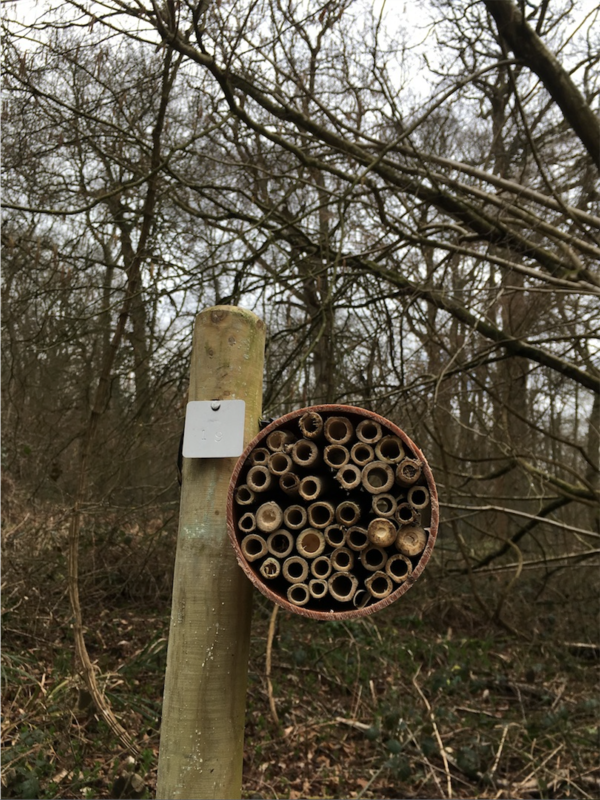 We have placed nest boxes all around Wytham Woods to see how box position affects uptake by solitary bees. 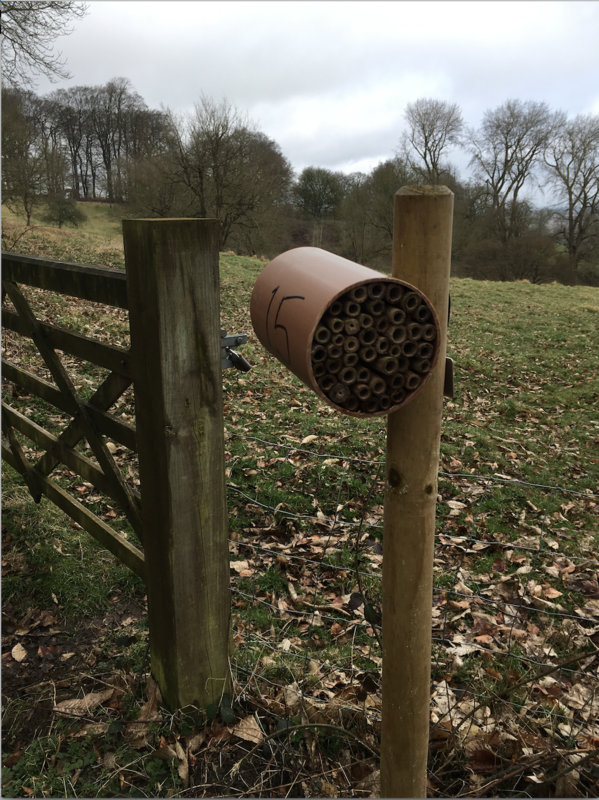 Each nest box has a numbered tag that acts like a house number and allows us to keep our records for each box together (and to redirect the bees’ mail if necessary). 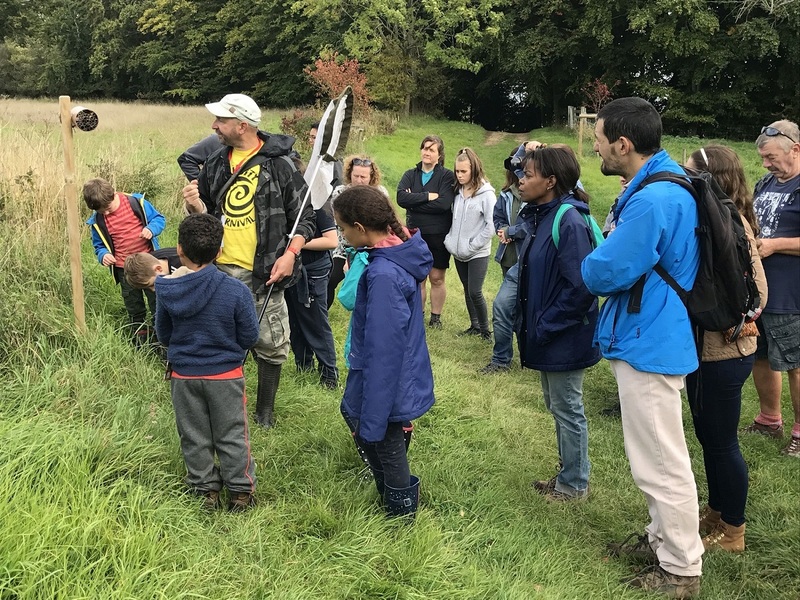 Steven Falk leading a bee walk in Wytham Woods during the 2017 Curiosity Carnival.